Long time, no post. As this article is published, I bought my VIP standing ticket to watch Taeyeon’s “S…” Concert in Manila on December 14. It has broke ticket-selling records in the country as tickets were immediately sold out in 5 minutes. So it has been a year since What Does The Fox Say ended. 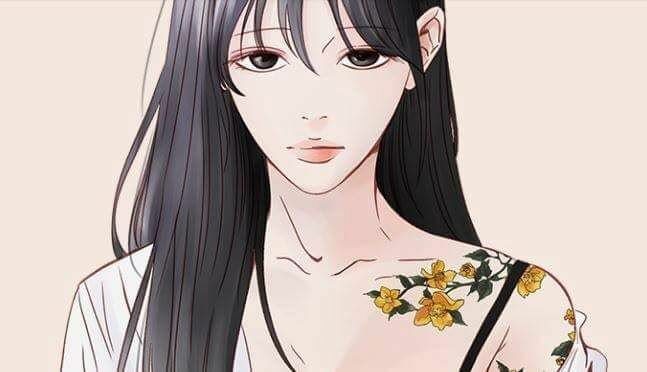 Sadly, its side-story sequel Paradise is still cancelled and there seem to be no word to when it will be back on the popular webtoon platform Lezhin Comics. 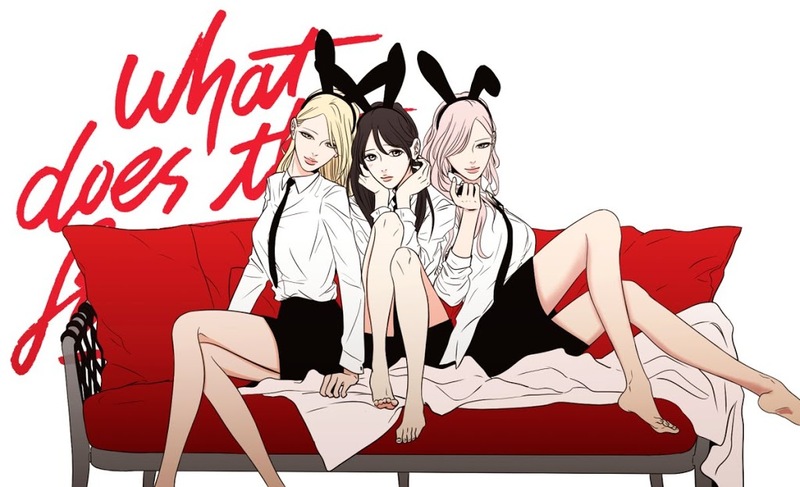 Now you may ask why am I mentioning the popular webtoon in this post? Well believe it or not, What Does The Fox Say and its creator Team Gaji (and Alggumba) got me to love the following: Girls Generation (SNSD), Taeyeon (the group’s leader), and K-Pop in general. 2016 was quite something for me because this was the same year that I got in these things all at once. 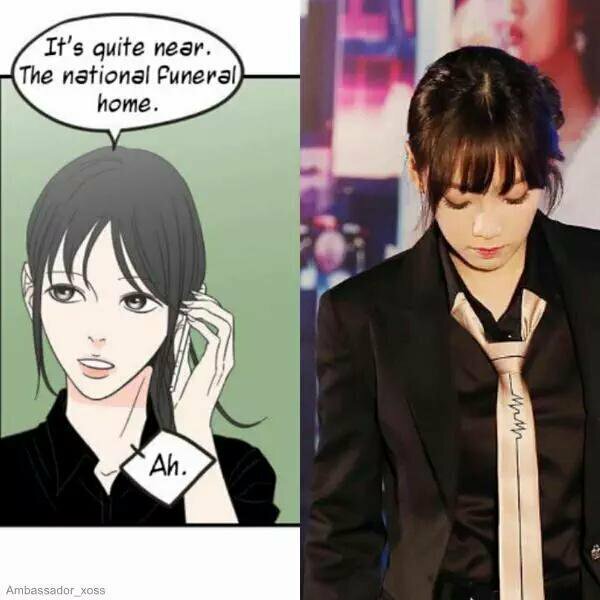 Previously, I was a moderator of a Facebook group dedicated to this webtoon. One of the things that puzzled me was this thing that some yuri fans usually post pictures of the members of Girls’ Generation and compare them to the What Does The Fox Say characters Sumin, Sungji, and Seju. While some seemed to not really super accurate, one stood out and that was the group’s leader, Kim Taeyeon. I admit she does show some similarities with Sumin. 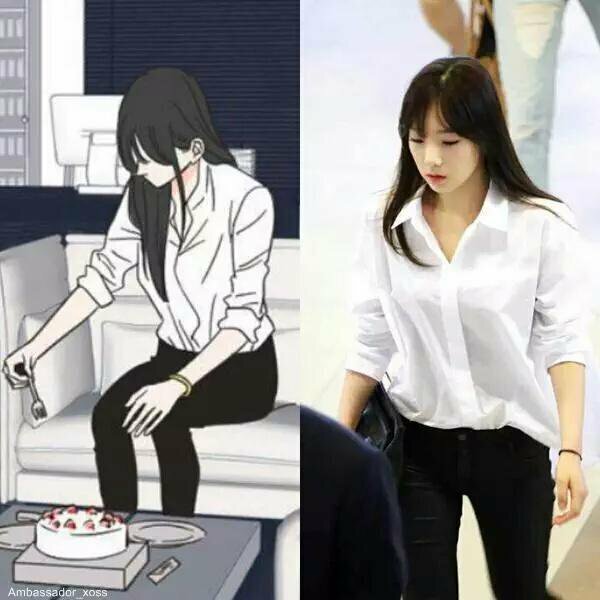 Fans have been creating theories that Sumin was based from her and that the creators of the webtoon were SONES. Years ago, Lezhin Comics also confirmed this fan theory too. (Note that the screenshot was posted before in Lezhin Comics’ Facebook page but was removed later on). 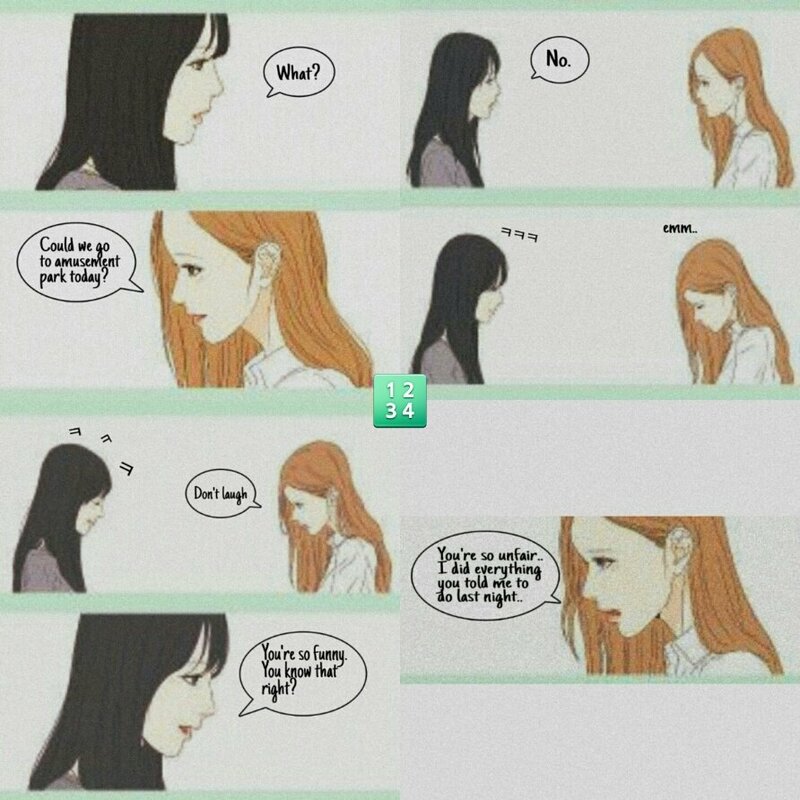 Other theories from fans claim that the whole What Does The Fox Say story is a fanfiction of TaengSic (Taeyeon x Jessica shipping). 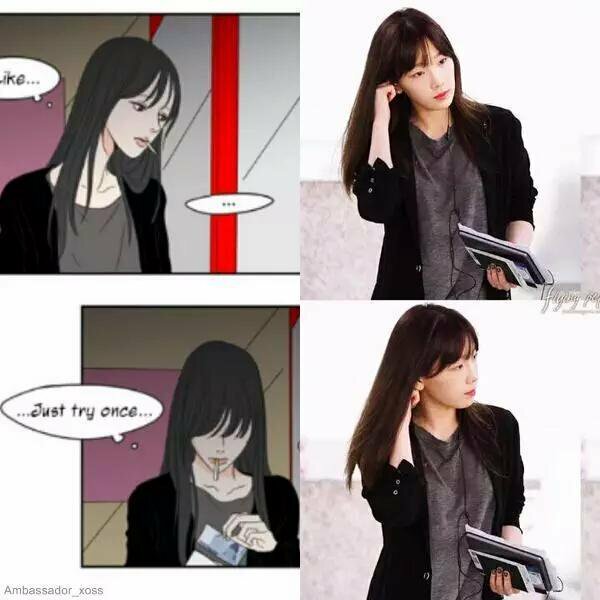 Before of the hype and success of the webtoon, Team Gaji created art and a small fan comic of Taeyeon and Jessica. 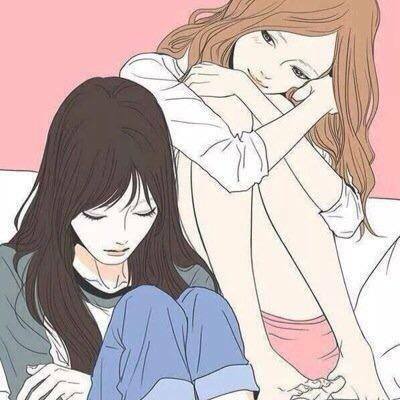 Some however claim that WDTFS could be a TaeNy (Taeyeon x Tiffany) fanfiction but I’ll leave it to you guys. Although all of this isn’t really like super confirmed, all this fan theories dragged me to a fandom that I’m not too familiar with which is K-Pop. My curiously lead me to listen to some songs of Girls’ Generation (as well as Taeyeon’s singles) and my love and appreciation for the Team Leader grew. If it weren’t for WDTFS, I wouldn’t have known this awesome group and wouldn’t go through heaven and hell just to see Taeyeon live. No regrets. Also I want to give credit to my online friends (some of them I have already met personally) because they put into the right path of the fandom. I have witnessed a lot of drama and popcorn moments so I don’t really want to go there. I can’t wait to see Queen Taeyeon next month. Aside from me, thousands of fans are really looking forward to see her in the flesh and serenade us with her powerful angelic voice. To those who are going, hope to see you there at the New Frontier Theater! I’ll be at VIP standing ;). What Does The Fox Say is a story of the intense love triangle of Sung Sumin, Ju Sungji, and Baek Seju. Sung Sumin is a Team Leader of Hello Studio, a company run by Baek Seju, her ex-girlfriend. Everything seemed to turn around for Sumin when the new recruit Ju Sungji came into the picture. You may read the series in Lezhin Comics. Previous ‘Lily Love 2’ Returns on Friday, November 2! I love this manga, I keep reading it, the plot is too good. Now that the creators always look for inspiration in different people, it does not have to be specifically her, but in the end we hope that they take the continuation very well your article success.. Originally I was team blonde but everything pink reminds me of Tiffany (TaeNy stan lol) and so I bacame Team Pink hahaha but oh well… anyway I also bought ticket in Taeyeon’s Concert in Manila and I can’t wait to see her this december!! I can’t do standing so I got the seated one! I was really glad I got a ticket even though it wasnt the seat I wanted but still we will see Taeyeon in 2 wks time!!! OMG!! 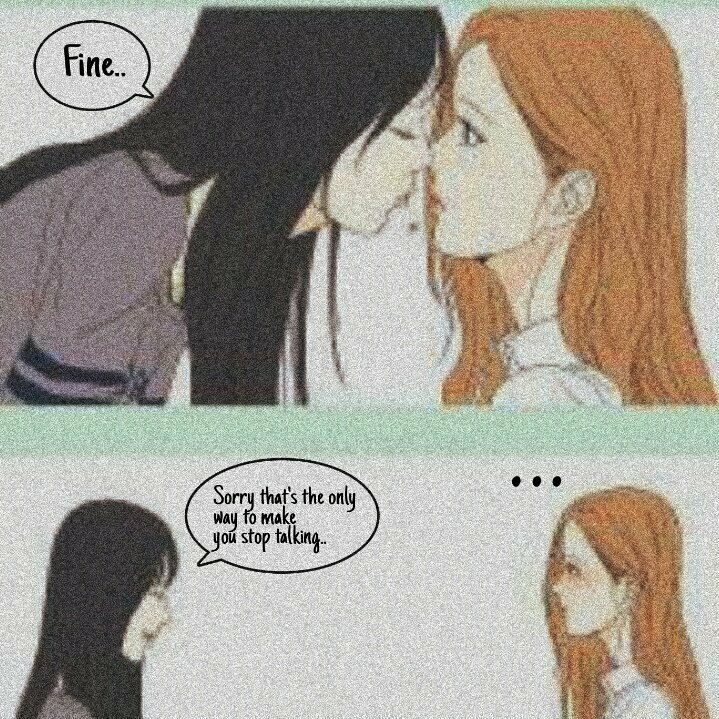 it was so fun being a fan of both when wdtfs chapters dropped. the intersection of wdtfs and sone twitter were pulling out picture references & taenysic moments that paralleled to the story. glad too see someone else become a fan of the girls through wdtfs, my journey to becoming a fan was quite similar to yours!